You are thinking you can think about your business after the holidays. And to that we applaud you. BUT! Before you put your business on hold, do a little mental account of what your business has been needing. While it is important to take a break from your business, it's also important to take care of your business. If you are good to your business, your business will be good to you. Take a few minutes to think about the needs this last year has revealed to you. Do you feel the business audio books just aren't cutting it anymore? There are tons of events to connect you with like-minded business folks and experts in your field. 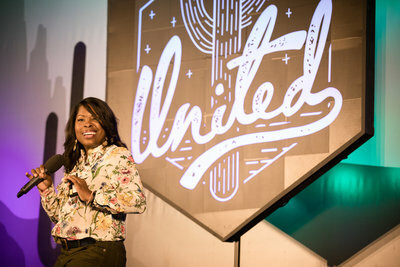 If you missed Showit United, we put together a Backstage Pass, just for you. If you are still looking to get-away to a group event in the next few months, the Reset Conference is around the corner. Education is one of the best presents to give yourself and your business. And if you haven't heard, CreativeLive is having some amazing deals! Any kinda class you want, you can find it. And right now, you can find it for a deal. Put your best foot forward in 2018. Maybe think back to an encounter with a potential client. Did you cringe when they pulled out their phone and asked for your website? We have you covered on mobile, desktop, and blog. And of course, we are running a sale for you this weekend. Or maybe they asked for your card and you awkwardly shrugged. Here are a few friends that could help you out there, too. 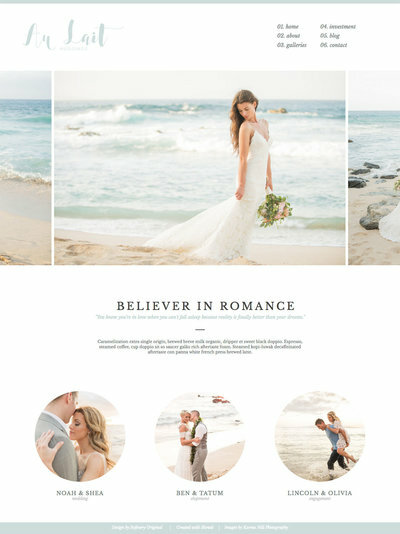 Save 30% on over 130 premium Showit website templates designed for professional photographers. Every design is mobile responsive, blog ready and completely customizable. 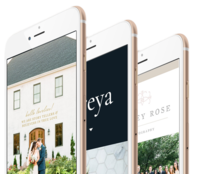 Whether you’re looking for a design that’s modern, elegant, or editorial, you’re sure to find a beautiful and professionally designed website to help grow your business. Don't forget about your clients, too! Let's face it. When you are thinking about what your business needs, you can't help but think about your clients. So here are some deals that benefit the both of you! Every year our friend Ben puts together some amazing deals for you. He has tons of education and resources for photographers. Hey, he isn't the called the six figure photographer for nothing. SmartAlbums is a must-have album builder that’s intuitive, quick, and simple. Check it out at http://clk.pixellu.com/BF2017deals and buy before November 27 to save $100 on your purchase! SmartSlides is the world’s simplest slideshow maker, allowing photographers to build gorgeous slideshows in minutes. Save big by signing up at http://clk.pixellu.com/BF2017deals before November 27 – the Pro annual plan is just $1 per month for the first 6 months! Create and deliver stunning online galleries in seconds. Your brand and your style deserve the perfect backdrop, and CloudSpot’s unlimited galleries put you in full control. With just four clicks, you have a tailored experience designed to help your business grow. These client galleries pair perfectly with a customized Showit site. B&H Photo Video – Too many holiday specials to list! Check them out. Last but not least, your vary favorite photographer, you! Shoot Dot Edit has put together a photographer's own toy catalog! Now you know just what to get that special someone…you! Here's the gift guide for your sweet little photographer heart! If you haven't started already, it's time to be present. So one last thing before the holidays really explode. Think about scheduling your social media with help of apps like Whentopost and Planoly. There is also a great resource if you need some help with what to post and what to say through our friend Jasmine Star's new company, Social Curator. Not only does she send you images to use with social media prompts, but there is a bonus every month to help you crush social media and end up with MORE time on your hands. Now if that isn't a Christmas miracle, we don't know what is!